The Allegheny National Forest, known as the PA Wilds, sits about midway between Philly and Pittsburg in the northern regions of Pennsylvania. Beguiling landscape aside, these eight breakthroughs, inventions and attractions might surprise you. 1. Before there was Shell, before there was Exxon, before there was BP: there was Bradford PA's "Billion Dollar Oil Field." 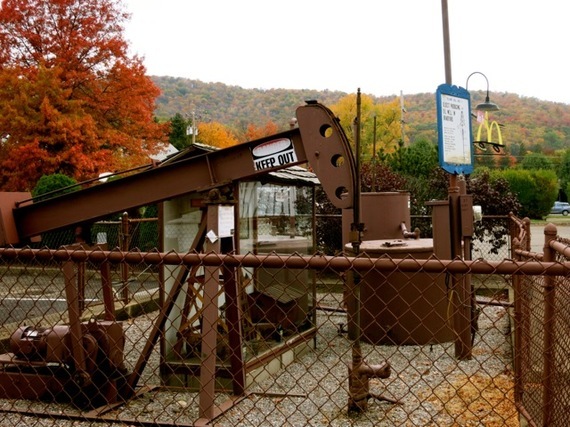 In 1859, the first US oil well was actually drilled about 80 miles from Bradford in Titusville, launching a black-gold-rush out to these mid-PA hills. Between 1871 and the 1920's, over 90,000 wells were bored in Bradford PA; 82 percent of the world's oil emerged from underneath this otherwise sleepy, but beautiful region. 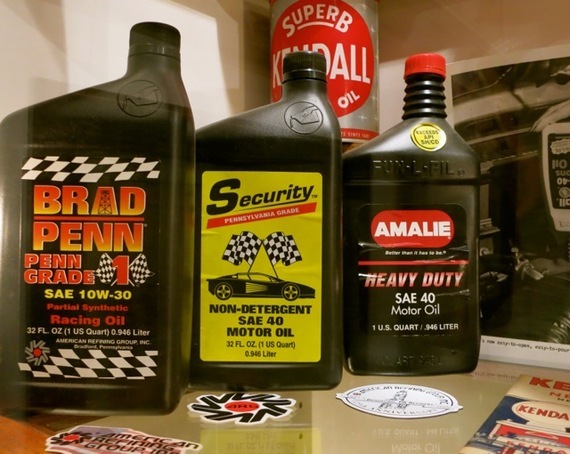 Learn about Pennsylvania's oil history at the excellent Penn Brad Oil Museum. You'll never look at a can of "Penn"zoil the same way again. 2. The oldest operating oil well in Bradford is adjacent to the McDonald's Drive-Thru. There are currently 400 of these derricks left in the Bradford Field. 3. 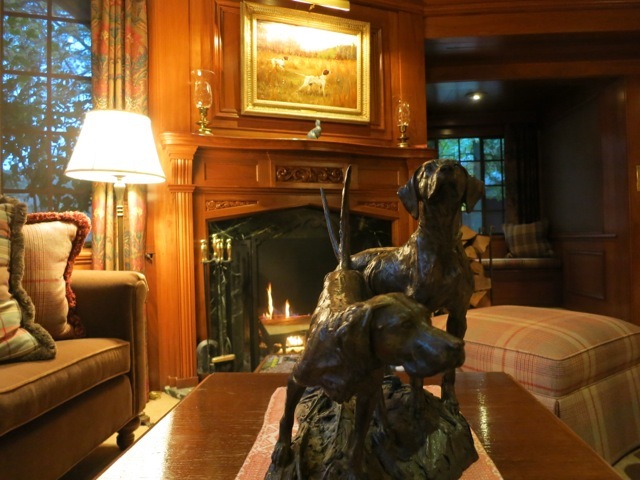 One of those rich oilmen, Clayton Dorn, built a family hunting and fishing compound on 1,500 woodland acres in 1929. The Lodge At Glendorn is now a premier hunting and fishing luxury resort stocked with the best Orvis guides and equipment. 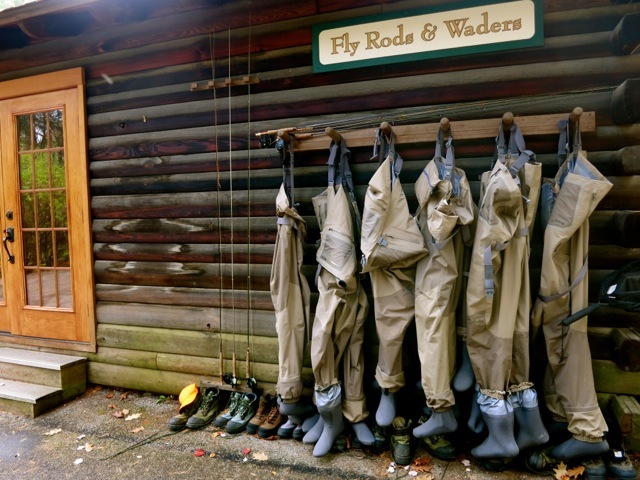 Glendorn is gaining recognition as one of the best places to Fly Fish and hunt Upland Birds (the property will even supply the dogs), as well as discreetly housing one of the best restaurants in Pennsylvania. 4. You can stay in a Smethport PA mansion built by Henry Hamlin, a wealthy oil, lumber and gas magnate as a wedding gift for his daughter in the mid 1800s. The owners of the Mansion District Inn aim to "indulge guests in the Smethport opulence of the Victorian era." 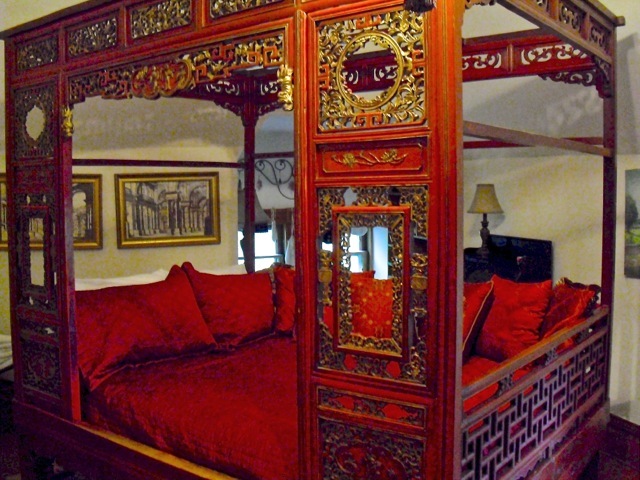 Romantics will want to book the room with an intricately carved red lacquered "1850 Chinese Wedding Bed." 5. Built in 1882 three hundred feet off the valley floor, the Kinzua Bridge was the highest point on the profitable New York to Erie Railroad line and one of America's most popular tourist attractions when first opened. Though it had been closed to commercial traffic, tourists could still make the harrowing crossing via nostalgic steam train excursions until July 21, 2003, when a rogue tornado tore through, decimating the bridge. You can now see its twisted remains via a Skywalk that juts 600 feet into the gorge. 6. 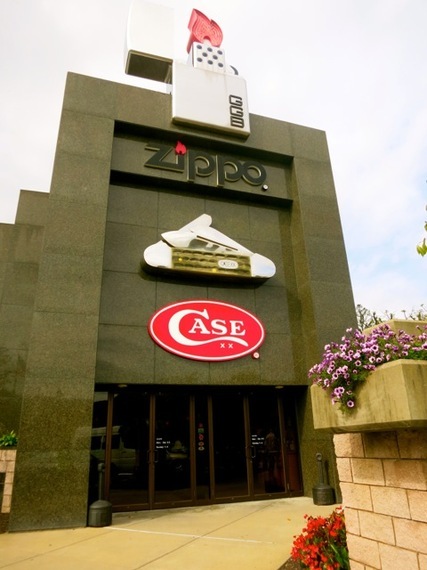 The Zippo Lighter was invented and is still made in Bradford PA. The aptly named George Blaisdell modified an Austrian design and named it after the zippy sound of the "zipper" in 1932. In June 2012, Zippo manufactured its 500,000,000th lighter. The Zippo/Case Museum and well-stocked gift shop are well worth a visit. 7. 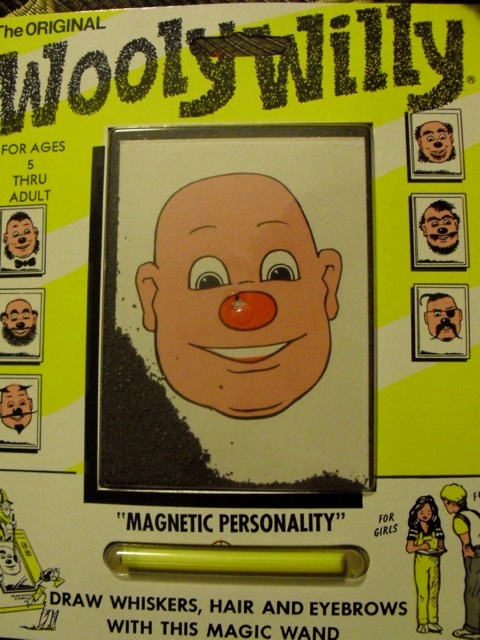 Wooly Willy, the original hipster-beard guy, has been manufactured in Smethport PA since 1955. 8. 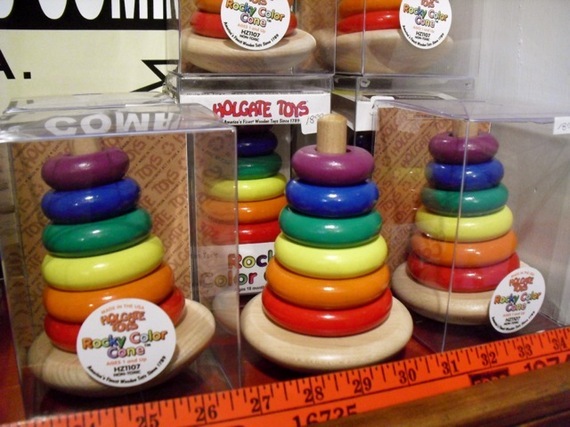 Anyone who has ever stacked rings on the wooden Rocky Color Cone (co-opted in plastic by Fisher-Price) has owned or played with a Holgate toy - made in Kane, PA. You can see a collection of Holgate toys at the renovated Kane Train Depot. 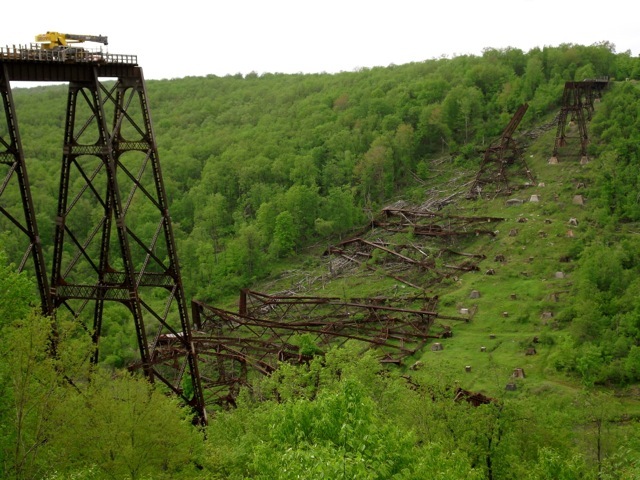 To discover more offbeat things to do in the PA Wilds, and all over the Northeast USA, check out the GetawayMavens.com.